How Does Bonding Offer Smile Touch-Ups? If you have a smile in need of a touch-up, then talk to our Des Moines, IA, team. We have a cosmetic treatment that can repair teeth in a single visit, whether they’ve become damaged or developed an oral health issue. How does bonding touch-up smiles and what should patients expect from the procedure? What Issues Will Dental Bonding Impact? We’ve used the treatment to repair minor chips in teeth, close gaps between the teeth, and address issues with the tooth’s shape. We also employ dental bonding to address intrinsic teeth stains. Also known as permanent teeth stains, these form below the tooth enamel, often a result of injury or fluorosis, and can be difficult to remove with traditional teeth whitening. However, in a single visit we can mask stains, and address a host of other oral health concerns, with our cosmetic procedure. We may also use the procedure in conjunction with other cosmetic treatments, such as porcelain veneers or even professional teeth whitening. We begin by removing any decay and thoroughly cleaning the tooth. We prepare the material, which is a metal-free composite resin. In fact, we use the same material in out metal-free tooth-colored dental fillings. After we shade the material to match the surrounding tooth structure and teeth, we place the composite resin in multiple layers. We then cure the material using a special light. We complete the procedure by polishing the tooth, which helps ensure a more natural appearance. 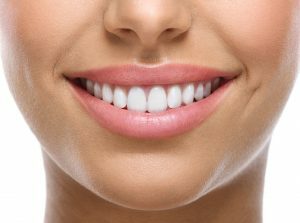 In a single visit, we can transform your smile. If you have any questions about dental bonding, or about any of our cosmetic treatment options, then contact our team today. We can start treatment now to use your 2018 benefits and help you greet the New Year with a more attractive smile! If you have a chipped tooth, then talk to our team about cosmetic bonding. Our practice is ready to help families in and around Des Moines, IA enjoy more attractive (and healthy) smiles. To schedule an appointment, call our office today at (515) 244-9565.